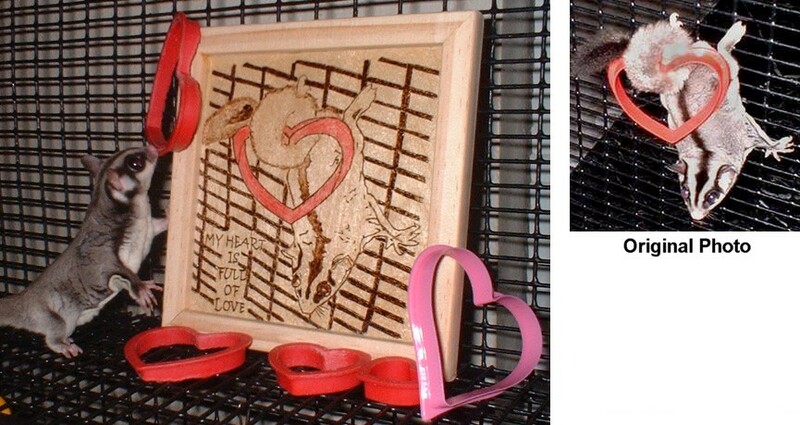 Had to share this... a wonderful friend and very talented artist. Made us a woodburned sign for Glider's Uncensored! Its gorgeous, and looks just like the logo here (Mya's face)! You can visit Miss Peggy, of Peggy's Pyro-Techniques here in the 'Links' section! 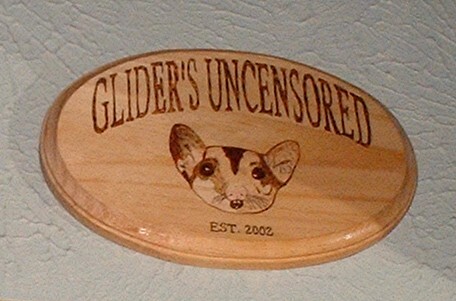 Woodburned Glider's Uncensored sign. 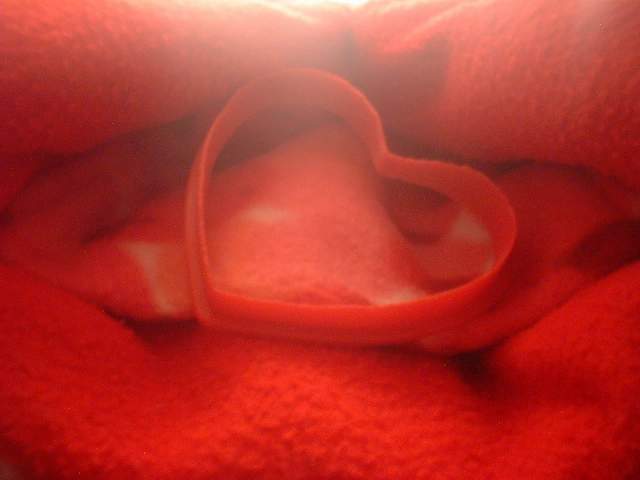 Cool huh?! 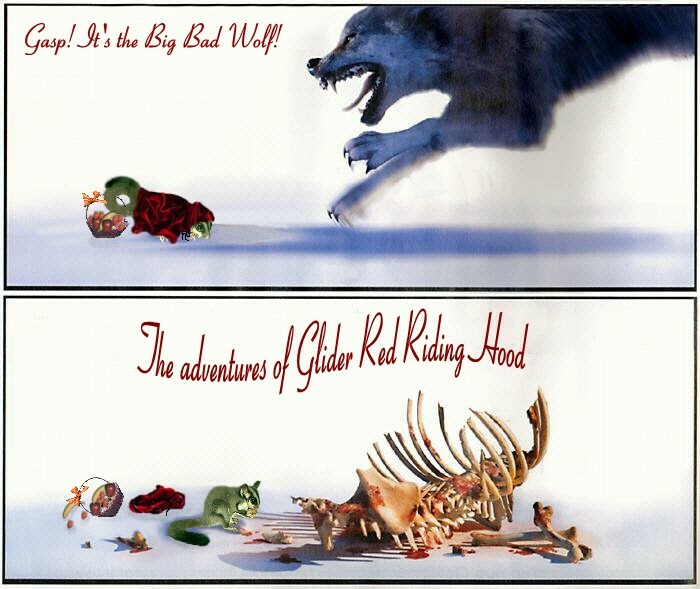 The Adventures of Little Red Gliding Hood. Just a few random things about Gliders... (from many different sources: books, magazines, internet, Vets, Zoos, etc...) Some of them were pretty interesting and cool I thought. * The Glider's stomach is about 1cm x 1/2cm and is shaped like a skin flask (around the size of a small pea). Pretty small huh?! 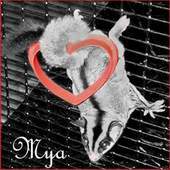 * There are 7 recognised subspecies of sugar gliders, 4 of them are in New Guinea (The Sugar Glider was introduced to Tasmania in 1835). * A Glider in the wild can cover over 7 acres of land in one night foraging for food. 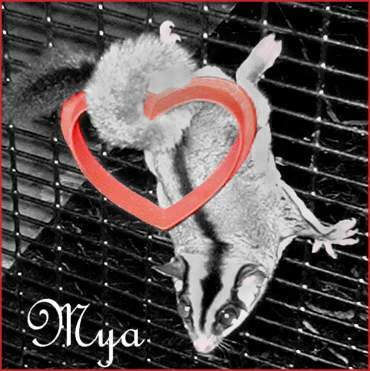 A live streaming video of Sugar Gliders in the wild!